LWP Property Group's master planned community, Trinity at Alkimos, has been released to the general public in Perth's northern suburbs. Atelier comprises 24 homesites range in size from 285 square metres to 465 square metre homesites with prices starting at $207,000. 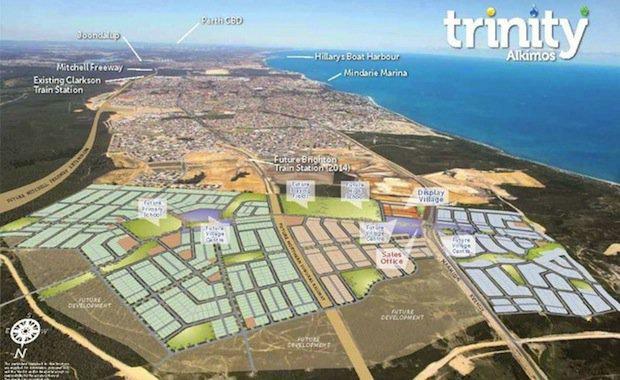 Created by multi-award winning developer LWP Property Group, Trinity at Alkimos will consist of 2,800 homes once complete. LWP Property Group Senior Project Manager Alf Lay said they were excited to again present buyers with the opportunity to actively shape this development. ‘‘It’s important to us to build a diverse community that will create a unique and charming place to live," Mr Alf said. ‘‘We encourage Atelier residents to express their personalities in their home designs to establish a unique ‘arts village’ with a creative vibe similar to that of East Fremantle.’’Land at Trinity at Alkimos was first released in April 2010 and 200 homesite have since sold. Population at completion of the 2,800 homes is expected to reach 8,000. Trinity Primary School will open for the 2016 school year, with a public high school also planned in the future.